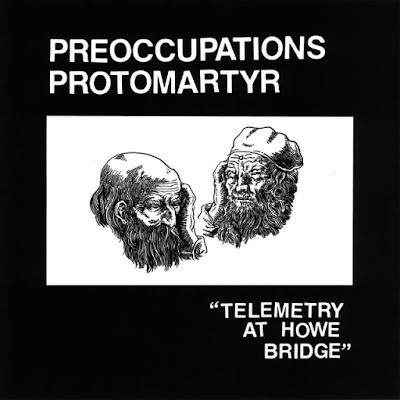 In a move sure to make post punk fans giddy, the guys of Protomartyr and Preoccupations have decided to issue a 7" where they cover each other. And there was much rejoicing. The "Telemetry at Howe Bridge" 7" is out next month on Domino, featuring Protomartyr's stripped down take on "Forbidden" and Preoccupations' version of "Pontiac '87." Listen to "Forbidden" below and pre-order the record here.